I'm picky when it comes to cherry flavors - besides fresh cherries, Cherry Coke and red Tootsie Pops are the only treats I'll devour happily. Sam of Beautiful Swag Store's family wouldn't have to worry about sharing their holiday dish of Queen Anne's chocolate covered cherries with me. I did enjoy her eye candy from the Saturday Night Specials team, though. 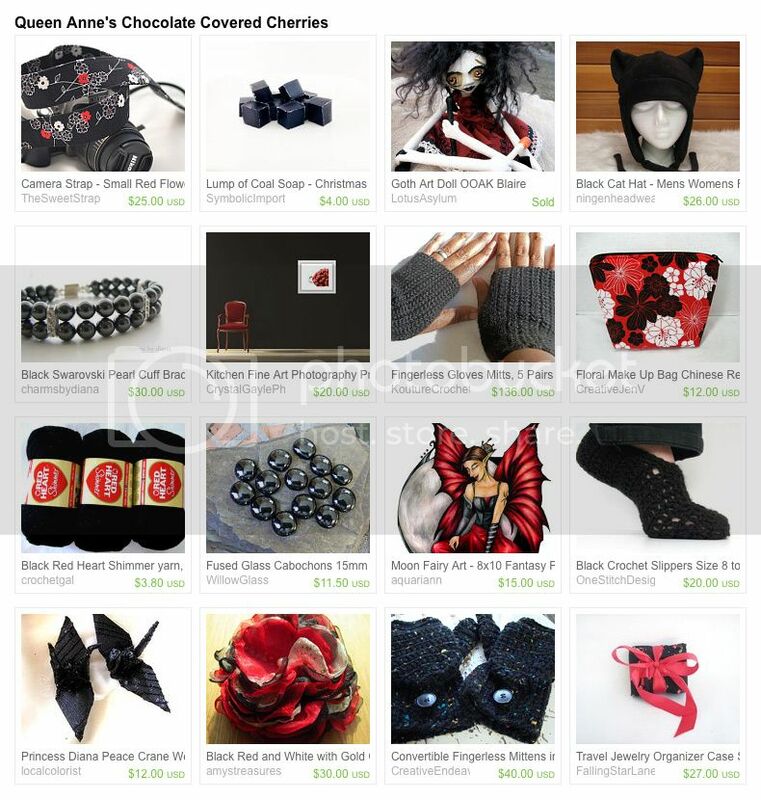 Sweet gift ideas include black crochet slippers, Swarovski pearl bracelet and my dark fairy print. This is a bunch of great color themed treasuries. I really enjoyed having a browse. Chocolate covered cherries and a must-have at Christmastime!! I'm liking your Moon Fairy!